Even if you are limited with space and do not have a room devoted to a home office, having a specific place to keep your papers (mail and records, receipts, invitations, kid's homework packets, etc. etc.) is so important to keep the paper clutter from piling up all over the house (or the kitchen island). I would prefer a large surface space to work on but for an area to drop mail, keep track of appointments and invitations, this is perfect and feels happy. 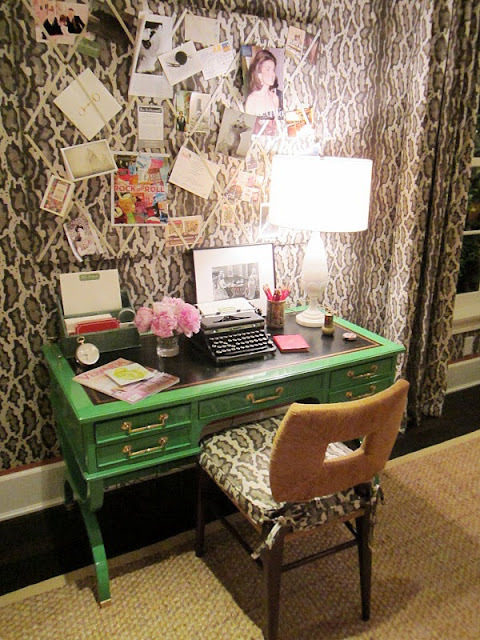 I think I am in love with that green desk....haha...Yep. I do love it. These are such creative, great ideas--and considering how small our home is---Thanks for the ideas! 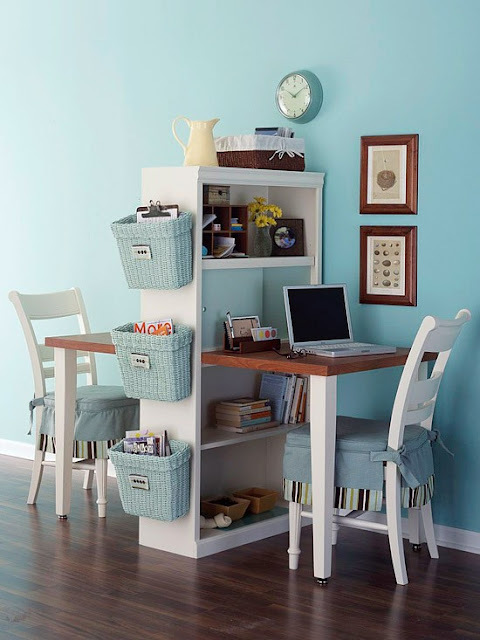 That little desk area and chair IS perfect and happy as you say. Great ideas. 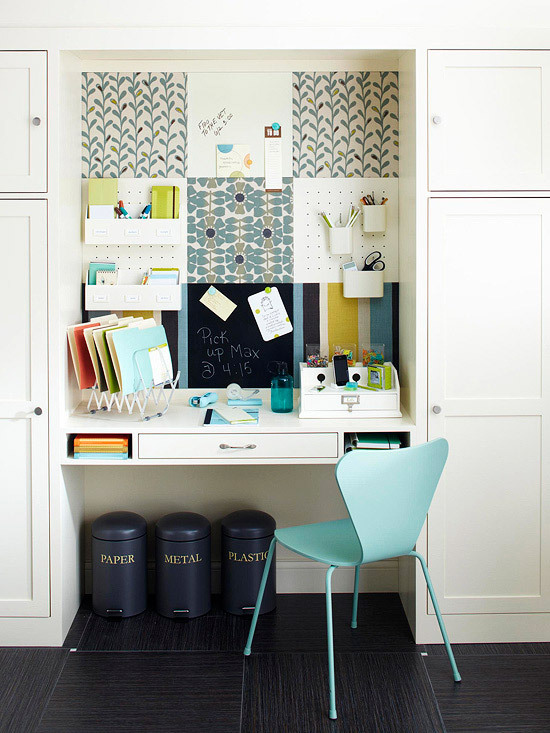 I am always looking for new organizing ideas. I hate stuff on the fridge too, so I have employed a magnetic dry erase board in the pantry. 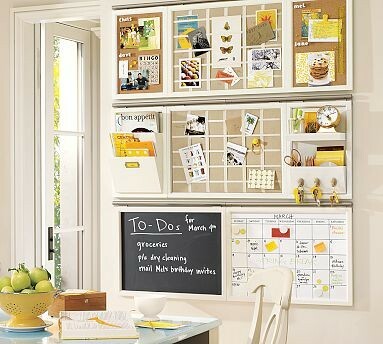 Great for a revolving grocery list and those school calendars that can be misplaced. I also use a plain black wall pocket, from Ballard, for grocery fliers and other paper clutter. I must say that the baskets in the first photo are far more charming. I would love to have a home office, but my house is just too small. My husband has a small office in the house and we made a little cubby with a door in the hallway right when you walk in the house. It's perfect to stash the days mail, phones and chargers, keys, chapstick and just about anything that ends up on the kitchen counter.